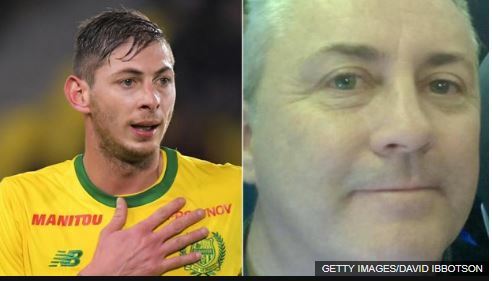 Messages shared between Emiliano Sala and the son of agent Willie McKay discussing flight arrangements have been revealed. Willie McKay says although he arranged the flight for Sala, he did not own the plane, select the aircraft or the pilot. After signing for Cardiff last Friday, Sala wanted to return to Nantes to say goodbye to team-mates and collect his belongings before returning to Cardiff on Monday, and McKay stepped in after Sala struggled to find a commercial flight. Text messages released between Sala and Jack McKay – Willie’s son who plays for Cardiff – show that Sala decided to take the offer of a private flight to and from Nantes. The post BREAKING!! Emiliano Sala’s Flight Messages Revealed (Read All) appeared first on Naijaloaded | Nigeria's Most Visited Music & Entertainment Website.